Elyx has arrived in South Africa, the southernmost country in Africa, and has a busy day ahead. Instead of relaxing by the 2789 km of coast the 25th-largest country in the world where 11 official languages are spoken has to offer, Elyx is meeting up with the UNIC Pretoria team for an educative tour around the administrative capital, where many of South Africa’s UN agencies such as FAO, IOM, and UNIDO are located. 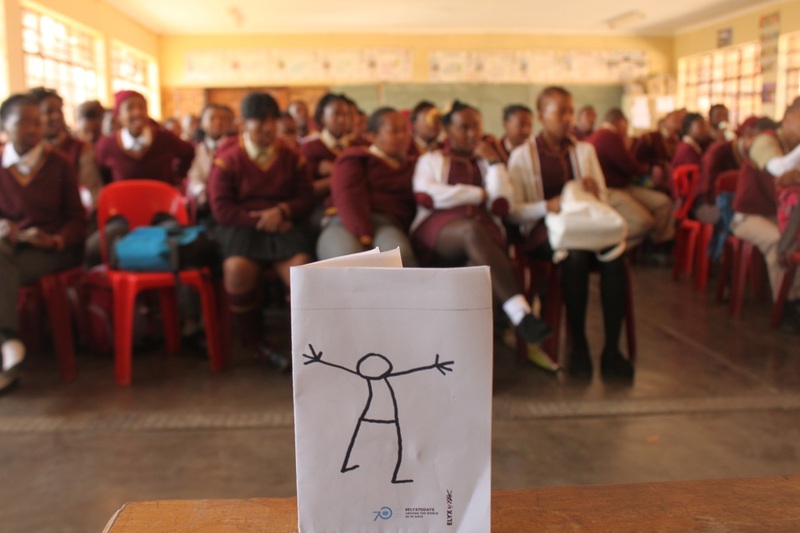 Elyx visits Mosupatsela High School in Krugersdorp. The UNIC Pretoria team first takes Elyx to Krugersdorp near Johannesburg on an educational outreach trip to help inform the students at Mosupatsela High School about the work of the UN in South Africa and the rest of the world, as South Africa was one of the original 51 founding members of the UN back in 1945. Elyx visits the Wall of Remembrance. 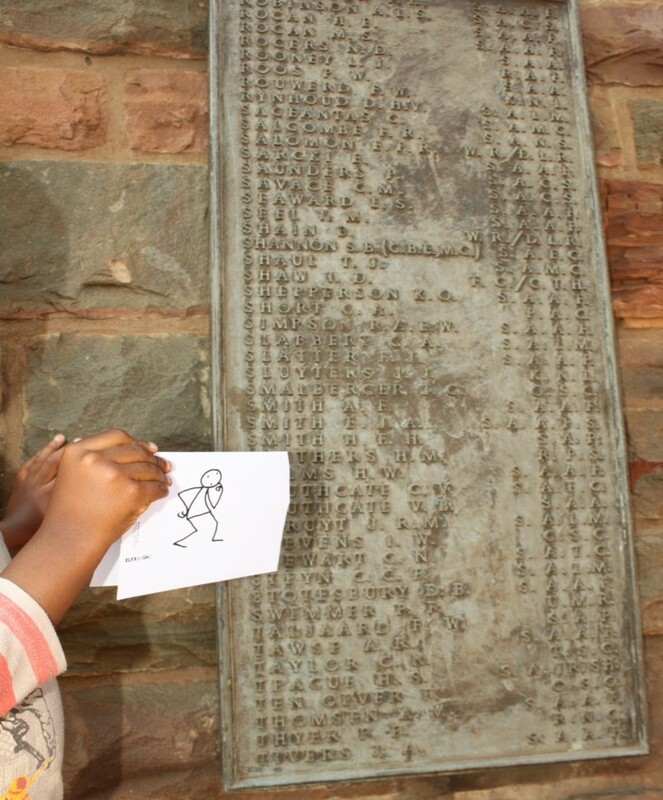 In the afternoon, Elyx visits the Wall of Remembrance, honouring the fallen South African activists and politicians who fought in the apartheid regime. During the regime, which was officially introduced in 1948, South Africa had a legislated system of forced racial segregation. At the time, the UN General Assembly repeatedly appealed to the South African government to abandon apartheid and officially called it ‘a crime against humanity’. In the 1970’s, the apartheid regime was completely excluded from the UN organizations and the first arms embargo against a UN member was introduced, followed by economic sanctions in 1985. The UN did not have any offices in South Africa until the official end of apartheid, for which negotiations were led by Nelson Mandela, was announced. Once democratic elections were held, South Africa was welcomed back into the General Assembly in 1994. 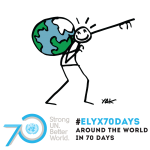 Elyx thinks about the challenges many have faced and are still facing all over the world today in pursuit of equality for all. In November 2009, the UN General Assembly declared 18 July “Nelson Mandela International Day” in recognition of the former South African President’s contribution to the culture of peace and freedom. 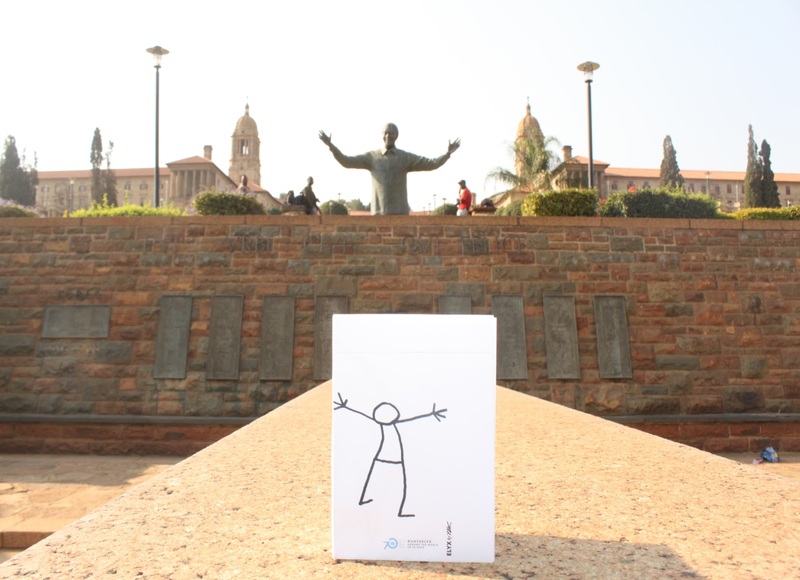 Elyx visits the UN in the South Africa Library. 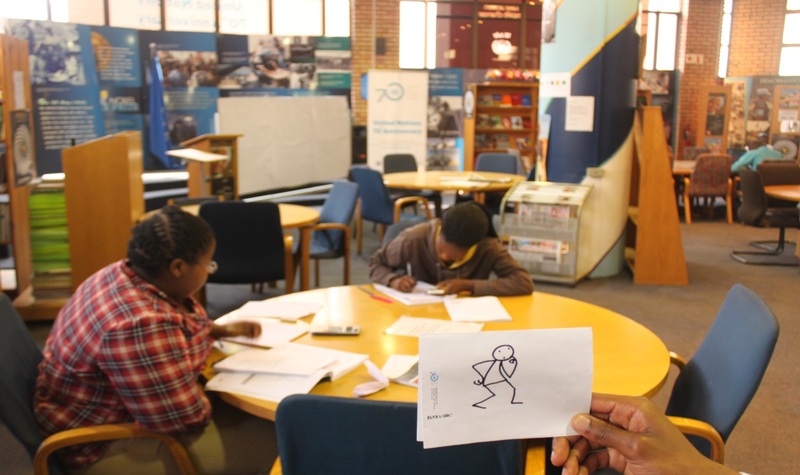 The last stop on Elyx’s route is the South Africa Library, where Elyx visits the UN division to find out more about the role of the UN in South Africa. Today, 16 UN agencies are located in South Africa, where the UN system seeks to further strengthen the management and coordination of UN activities so that they can make an even more effective contribution to the achievement of internationally agreed development goals.